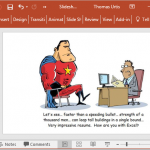 Here is how you can run a PowerPoint presentation from Excel, with the below macro named “PowerPointSlideshow”. 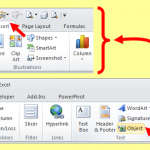 Here are the simple steps for inserting a Word document directly onto your worksheet. 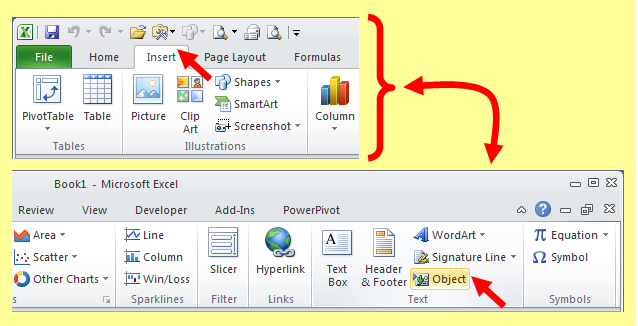 From the Ribbon, click the Insert tab and then click the Object icon. Sometimes you use Excel to manipulate other Office applications such as Word, PowerPoint, and Access. 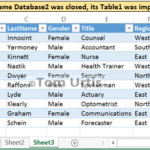 This macro shows how to connect to an Access database and delete a particular table. A reference to the Microsoft ActiveX Data Objects 2.8 Library is required for the code to run. For importing part of a Word document into your Excel workbook, here is a macro that imports the second paragraph from a Word doc. ‘Activate your workbook and go to the paste destination of Sheet1 cell A1. 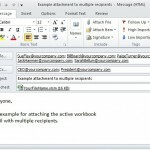 With a macro from Excel, you can create an email in Outlook that will attach your active workbook and fill in the To field with a list of multiple recipients. Suppose you have a workbook that you email to the same people on a regular basis. 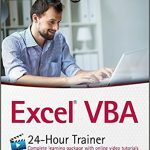 Here’s the latest of the Tom’s Tutorials for Excel series in which Tom Urtis walks you through a solution step-by-step. If you have any questions please ask them here in comments. Tom takes the time to be sure readers of every level of expertise feel confident using Excel. Here is the Tuesday blog length post from Tom Urtis. This one is so handy!